16 Apr 2019 / 15:38 H.
KUALA LUMPUR: A Bank Negara Malaysia (BNM) manager told the High Court here today that two teams from BNM had raided an Ambank branch in Jalan Raja Chulan, to seize documents on investment obligations. Azizul Adzani Abdul Ghafar said he and his team carried out a raid from 9am to 11am on July 16, 2015, and he was there until 9pm waiting for another team to raid the bank. He, however, was not sure whether there were any other teams besides the two teams who raided the building on the same day. 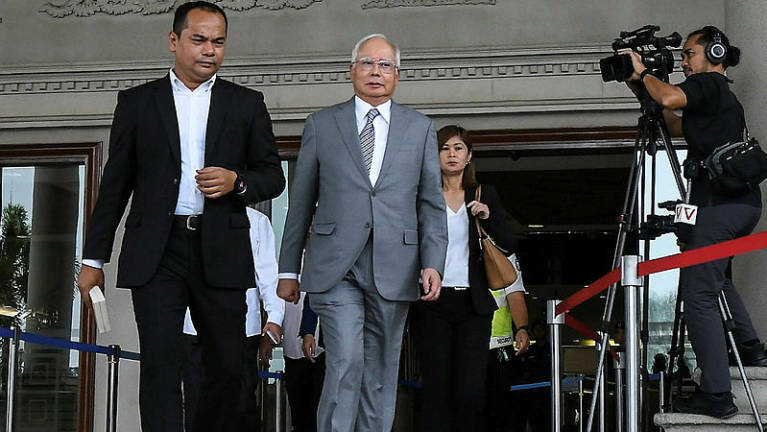 The second prosecution witness said this when cross-examined by lawyer Harvinderjit Singh, representing Datuk Seri Najib Abdul Razak, at the trial of the former prime minister, which entered its third day today. Harvinderjit: Do you agree with me that there was another team who conducted a raid on the bank on the same day? Harvinderjit: So, from 9am to 9pm, you were still at Ambank? Harvinderjit: Just to get eight folders and three envelopes? Azizul Adzani: Eight folders and three envelopes in the morning. 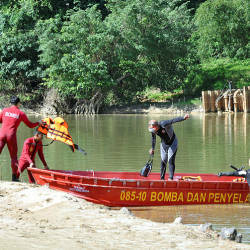 After that I waited for the other team to do the search at other spot in Ambank. Harvinderjit : Who were in the team? Azizul Adzani: I don’t remember, not all officers in the department were involved. Harvinderjit: In the morning, besides receiving instructions regarding the account, you were also informed that there will be another team who will carry out raid on the Ambank building but other parts of the same building? Asked about the vehicle used during the raid, Azizul Adzani said “between three or four vehicles”. 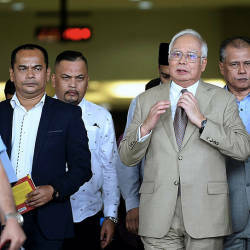 Najib, 66, faces three counts of criminal breach of trust, one charge of misuse and three counts of money laundering involving RM42 million SRC International Sdn Bhd funds.